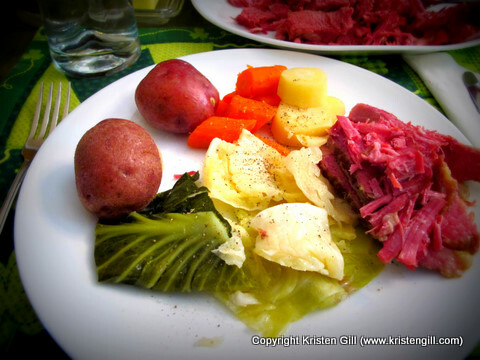 Corned Beef & Cabbage – an Irish American Favorite! The annual Gill St. Patrick’s Day meal of corned beef, cabbage, potatoes, carrots and parsnips. Paired with a Guinness, but of course! Adventure On, with a jig or two!